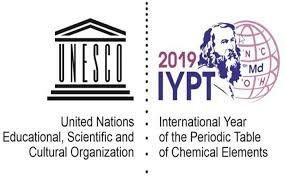 UNESCO has declared 2019 as the International Year of the Period Table of Chemical Elements to commemorate the 150th birthday of the periodic table of chemical elements. The Periodic Table of the Chemical Elements was first published by Russian scientist Dmitry Mendeleev in the year 1869. What is the Periodic Table of Chemical Elements? The Periodic Table of Chemical Elements is the tabular arrangement of the chemical elements, arranged by atomic number, electron configuration, and recurring chemical properties. The elements from atomic numbers 1 (hydrogen) to 118 (oganesson) have been discovered in nature or synthesized in laboratories. Efforts are on to elements having higher atomic numbers as these elements would begin the eighth row, and theoretical work has been done to suggest possible candidates for this extension. To celebrate the International Year of the Period Table of Chemical Elements the UNESCO would be organising events like online competition to test school students' knowledge of the table, and scientific experiments brought to schools around the world. Q: Who has declared 2019 as the International Year of the Period Table of Chemical Elements to commemorate the 150th birthday of the periodic table of chemical elements?